Here’s the gear that helps me bring stories to life. 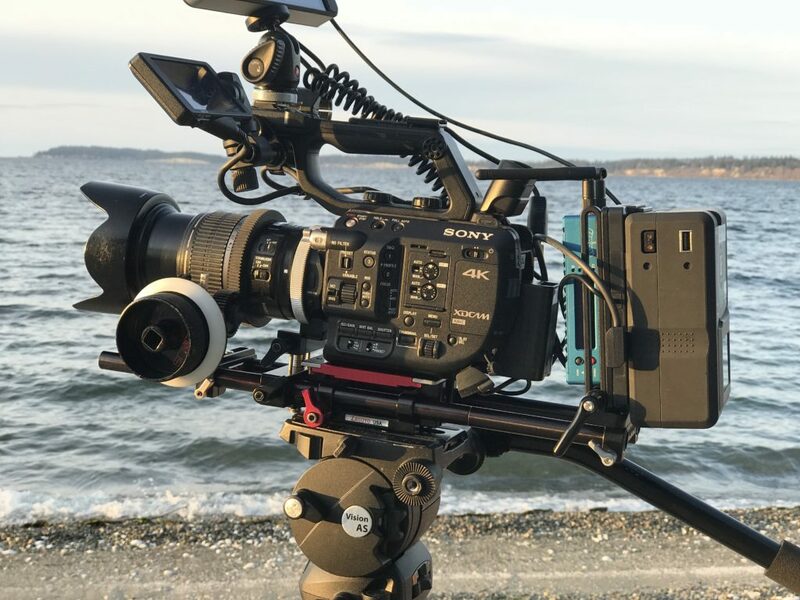 NOTE: In support of the Seattle filmmaking community, I’ve made some of my best documentary film gear available for rent, at reasonable rates, on my ShareGrid. 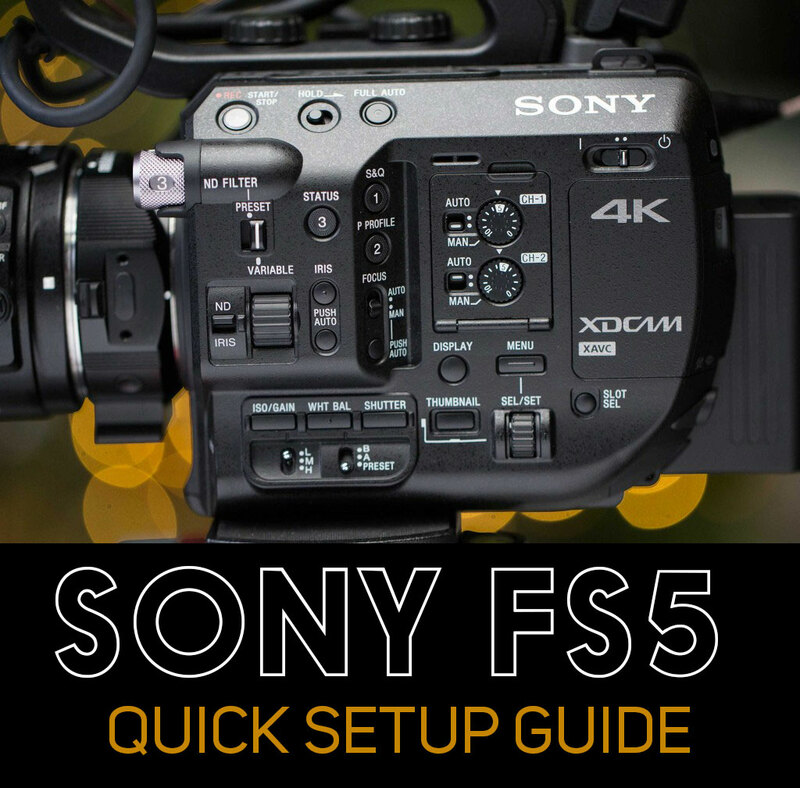 Cameras: I most frequently shoot with Sony FS series and Canon EOS series cameras. Transportation: Nissan Leaf. 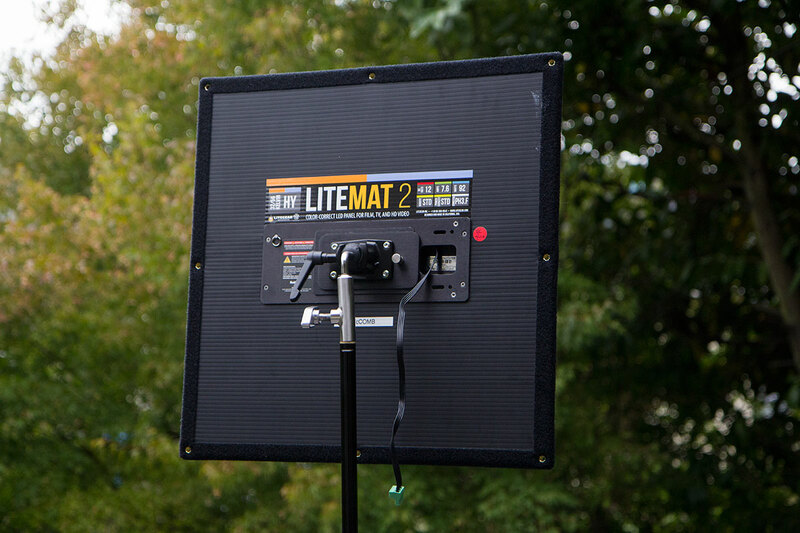 We strive for zero-emission filmmaking on all projects within 50 miles of Seattle. Zeiss primes (matched set): 25mm f/2.8, 35mm f/2.8, 50mm f/1.7, 85mm f/1.4, 135mm f/2.8. 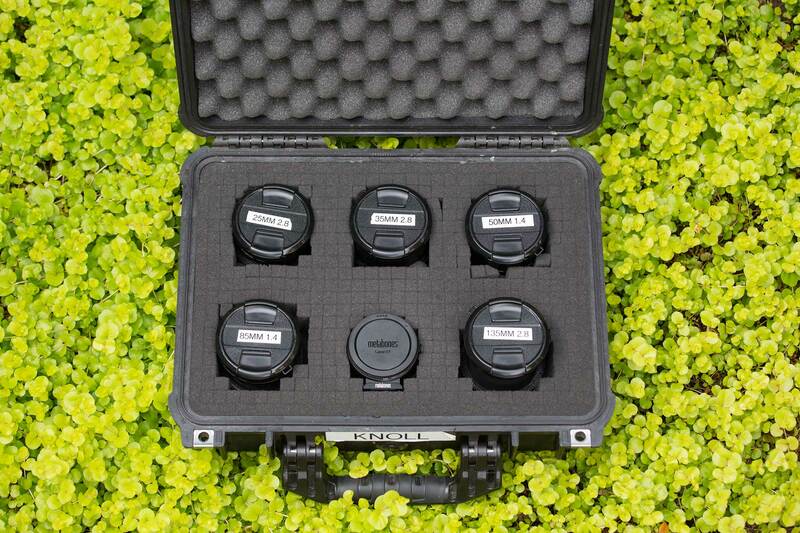 Nikon primes: 20mm f/4, 35mm f/1.4, 50mm f/1.4, 85mm f/1.8, 105 f/2.5, 300mm f/4 and 1.4x Nikon teleconverter. Metabones T Cine Smart Adapter EF to Sony E.
Metabones T Speed Booster Ultra .71x EF to Sony E adapter. Tiffen Indie Pro IR ND kit. Sachtler Flowtech 75 w/ FSB-8T and Ace XL heads. Motion: Dana Dolly, Rhino EVO carbon slider with motion control and Arc. Matthews 4×4 Road Rags frames (2) + travel floppy, bounce, silks, hilight, and solids. large and medium size China balls. Other: Sennheiser HD 280 phones, Think Tank sound bag, Rode boom pole. Editing: 4K editing suite is Final Cut Pro X MacBook Pro 2018 laptop with Thunderbolt Raid. Davinci Resolve Studio for color finishing. SSD drives for location backup and workflow. 4 Kupo Baby stands w/ short grip arms in 2 road cases. 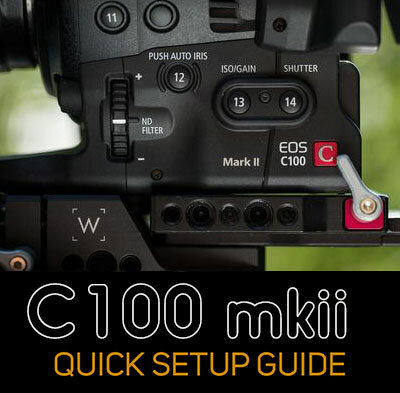 Thanks for a great website, I just bought a C100 mk II and made a few adjustments after reading your set up guide. If you can help, is there any way you can assign a button to enter slow-motion settings? Looking forward to a step into video, I’m picturing it working out well with the SLR. I haven’t assigned this, but I believe it’s possible – just go to the Assign button, then select the button you want to change, (screen will turn blue) find the feature you want to assign, which in your case would be 59.976 frame rate, and select it. Your blog is a big inspiration. Thanks for that! I am going to buy the Sony SF5. Looking very much forward to that. Since you are a big fan of the SF5, I was wondering why do you not have any Sony lenses? I am insecure if I should go for the regular kid lens Sony selp 18105g or if I should upgrade to the 18110g. Is it worth spending money on the upgrade? Great question! I don’t have any Sony glass because I previously invested in EF mount lenses. And, EF lenses are easily adapted to the Sony E mount. Further, full-frame EF lenses used with a Speedbooster adapter gain almost one stop of speed (so an f/4 lens becomes effectively an f/2.8 lens). Further, it’s possible to adapt many other types of lenses (Nikon, PL, etc) to use the Sony E mount – but it is NOT possible to adapt Sony E mount lenses to work on Canon cameras. So that, in a nutshell, is why I haven’t bought any Sony glass. However, the first lens that may change my mind about that is the new Fujinon MK 18-55mm parfocal zoom. This lens is designed only for E mount because it would be impossible to design for EF and keep the compact form factor and price point. And it is an amazing lens for certain types of shooting. I will probably rent this lens for the time being, but may consider purchasing it at some point. Hey Dan! Chris here from Northern California. I have been following your blog ever since I got my C100 and used your guide to set it up. Wish I was nearby, would love to collaborate with you! Keep up the informative reviews and guides! I have a question about the Fujinon MK 18-55. I want that lens so much! Might have to wait for awhile though. Don’t have the funds yet lol. Just added the a6500 and that’s my first Sony camera. Love it! Have you ever tried adapting it from e-ef? Would that even work or is the flange an issue? Haven’t found any videos or articles on that at all. Great question. Unfortunately, it’s not possible to adapt the MK 18-55 (or any other E lens) to the Canon EF mount. You can only go the other direction – ie, from E to EF. 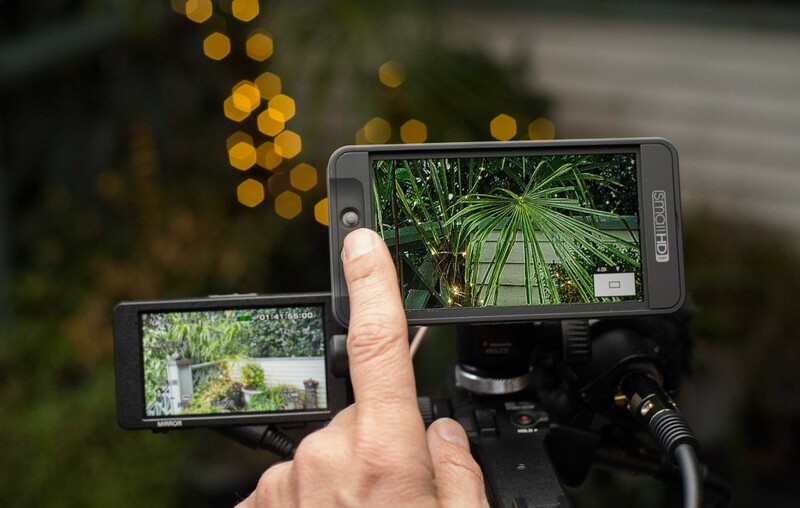 That’s one of the things that makes Sony cameras so attractive – they can be adapted to shoot with just about anything. Canon EF, not so much. You can adapt Nikon to Canon, and you can adapt Contax-Zeiss to Canon. But you can’t go from Sony E to EF.